We plant the trees. You wear the love. Show the rain forest some love by becoming a member of the Arbor Day Foundation. With your membership donation of $20 or more, we’ll plant 10 trees to help restore a tropical rain forest and send you a FREE Rain Forest Rescue t-shirt. Our earth’s precious rain forests cover only 2% of the planet. Yet they are home to more than half of the world’s plant and animal species, including 70% of the plants used for medicines that fight cancer. 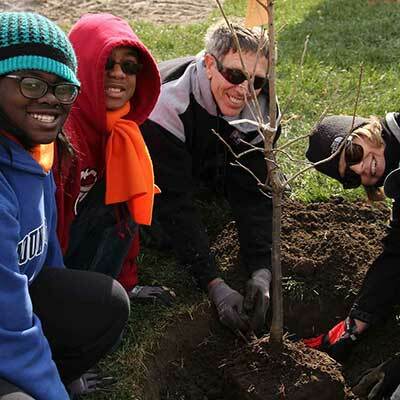 Your trees will help restore them for future generations. You’ll receive a 33% discount on over 100 trees and shrubs. Our selection includes shade, flowering, ornamental, fruit trees, evergreens and more.